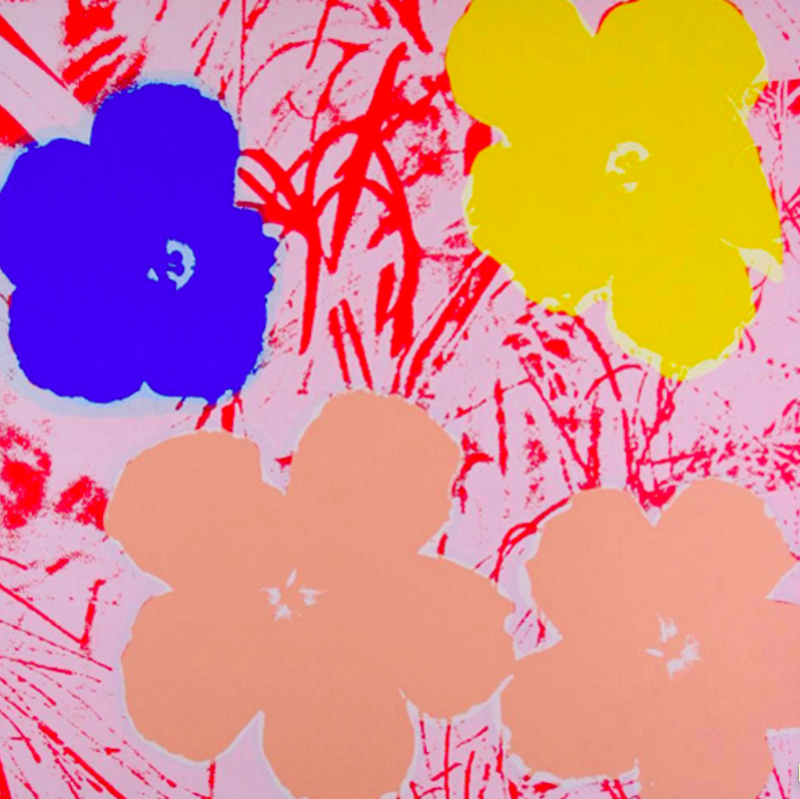 The Flower series was produced by Factory Additions, a printing company run by Warhol. In an effort to blur the boundaries between “high art” and “low art”, Warhol systematized his method of art production from traditional painting techniques to printing decorative motifs on canvas. The Flower series is a portfolio of ten screenprints on paper. Warhol turned to the flower for inspiration time and again. In the 1950s, he made drawings of flowers in the tradition of representational still life. Blotted-line daisies, roses, and gold-foiled irises appeared in early commissioned artworks and book illustrations. He returned to the floral still life in 1974, with a series of screen prints based on Japanese ikebana arrangements. Warhol’s 1964 Flowers paintings may have been created as a kind of tribute to the slain President John F. Kennedy. Warhol created the works along with his portraits of the grieving Jacqueline Kennedy only months after the assassination.